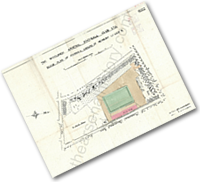 The Arsenal Collection is a digital collection of Arsenal memorabilia collected from various sources through the ages. 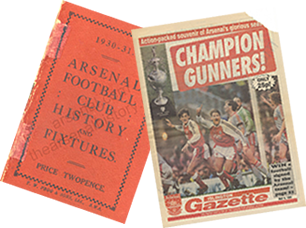 The collection includes a huge range of official and unofficial match programmes, handbooks, newspaper articles, books, photographs and many more items of various Arsenal memorabilia. 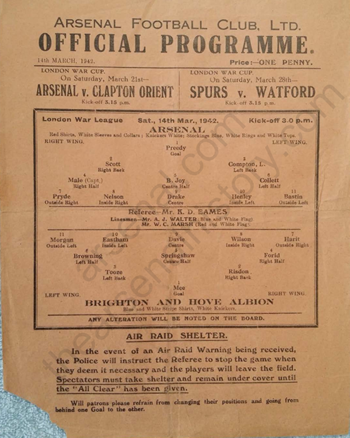 This is an ongoing project, and over the next couple of years, we will be adding to our collection, as we develop the website with the aim to provide an extensive digital archive of the history of The Arsenal. Create your own Arsenal Collection! 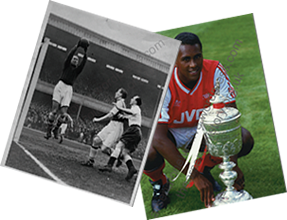 Register with The Arsenal Collection website for FREE, and you can create your very own Arsenal Collection from our huge collection of digital memorabilia. Join The Arsenal Collection Today! All manner of items with the Arsenal name on them, manufactured over the years. Including the weird, the wonderful and the obscure. A wide variety unseen and rarely seen photographs covering all aspects of the club. It is exactly a year to the day that we launched The Arsenal Collection, so ……READ MORE……. 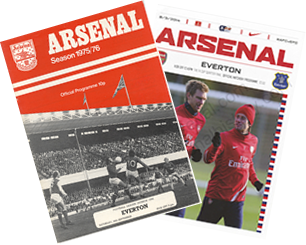 Things have been a little quiet on The Arsenal Collection front for one reason or ……READ MORE…….